Chris Sharp Cabinets are a furniture manufacturer who, for over 25 years, have been designing and creating furniture in Lincoln. 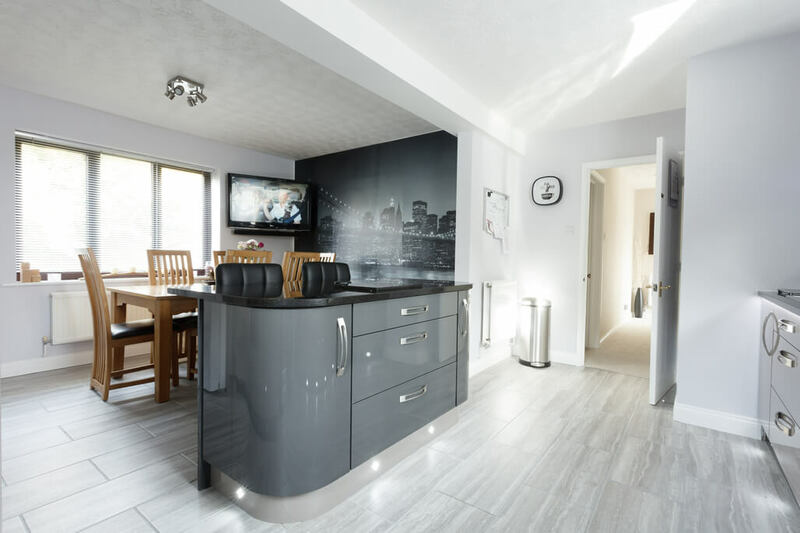 We pride ourselves immensely on our bespoke furniture and attention to detail, and over the years we have been able to build up our business to a point where we have been able to expand into the kitchen side as well as bespoke furniture. Growing our business here in this department means that we require a fantastic addition to our passionate sales team. As part of the role, you will be expected to sell to the public, be very sales driven and focus on service. Along with that, we are looking for high levels of passion and enthusiasm. Specialising in the finest bespoke kitchens, Chris Sharp Cabinets are now pleased to offer made to measure fitted wardrobes. All of our finely crafted bespoke products are hand made in our Lincolnshire workshop and displayed for you to come and view in our beautiful Lincoln Showroom. 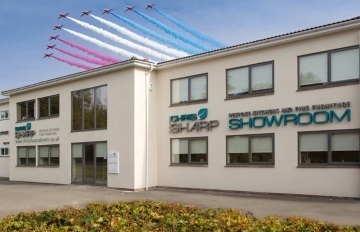 We are over the moon with the quality, installation and personal service we have received from Chris Sharp Cabinets! From receiving a down to earth solid quote to the fully completed kitchen not once did we question whether we had chosen the right people for the job. Neolith is one of the largest sintered compact surface, with extraordinary characteristics. It is a trendsetting material that is redefining the future of interior design. With an extensive range of colours and finishes, Neolith is a designer product that has created exciting possibilities for interior decorating applications and exterior cladding projects. Neolith manufactures a product that surpasses every required standard (ISO) in every category with the use of technologically advanced systems and a sensitive corporate “conscience”. With a porosity of less than 0.08 percent, Neolith is impervious to absorption, making it a hygienic product resistant to bacteria that can cause disease and trigger allergies. The precision, state-of-the-art technology used by Neolith ensures optimum efficiency in terms of raw material and energy consumption and the superior quality and finish of the end product. A large, automated factory, purpose-built to house the most high-tech, industrial equipment and production processes for Neolith , allows a production capacity, level of efficiency, and quality that exceeds the market standards. Neolith slabs are created in a completely automated, high-tech factory that runs permanently. Automation allows Neolith to maintain its high standards in product quality and consistency, while ensuring energy and output efficiency. Every effort is made to avoid raw material and energy wastages, as the ultra-modern factory was designed with ‘green’ outputs and components in mind. The high-tech factory also ensures that product demand increases can be managed effectively in order to ensure consistent supply to match the growing international demand. The Neolith research and design department is constantly pursuing innovative ways to introduce cutting-edge designs and design solutions to the end-user. Modern technology allows for modern solutions to every construction and design requirement. Neolith is 100% eco-friendly, using natural materials and technologies that respect the environment. Our compact sintered surfaces are sustainably and responsibly manufactured, complying with every European Environmental safety standard. The technology and precision used to manufacture Neolith ensures optimum efficiency in terms of energy consumption and use of raw materials. The production and lifecycle of Neolith surfaces have the minimum possible impact on the environment and the end product is fully recyclable. We are proud to announce that we have Greenguard certification and including gold, certifying that we meet strict standards and are safe for use indoors and with sensitive indviduals. As well as member of the US Green Building Council and CE approved. 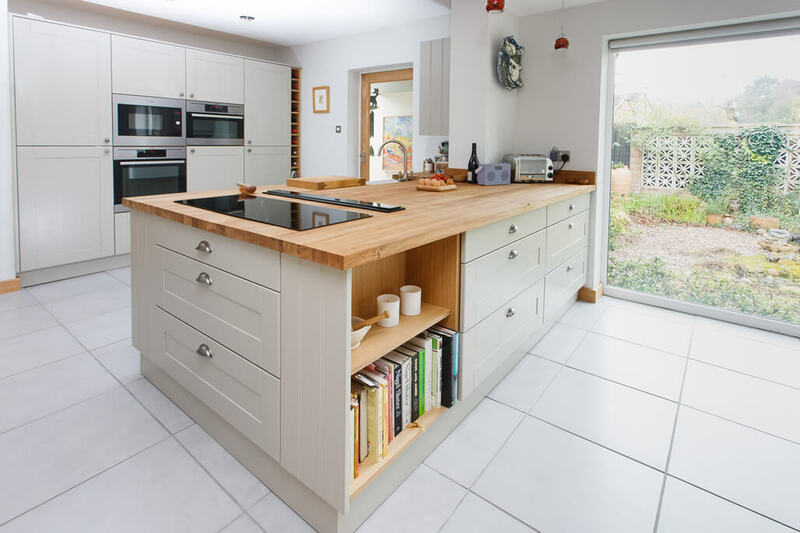 Following the success and undeniable quality of our hardwood furniture ranges we have decided to venture into the world of kitchen manufacturing. We are now providing a range of bespoke kitchens, tailored to match your requirements, free from the limitations of the 'High Street' packages. Your new kitchen will be individually designed and constructed using the latest in computer technology offering you the ability to 'walk around' your new kitchen before its built, allowing you to amend any small features along the way including the use of the beautiful curved doors, soft close drawers and a choice of storage metalwork – small features that really make your kitchen stand out. 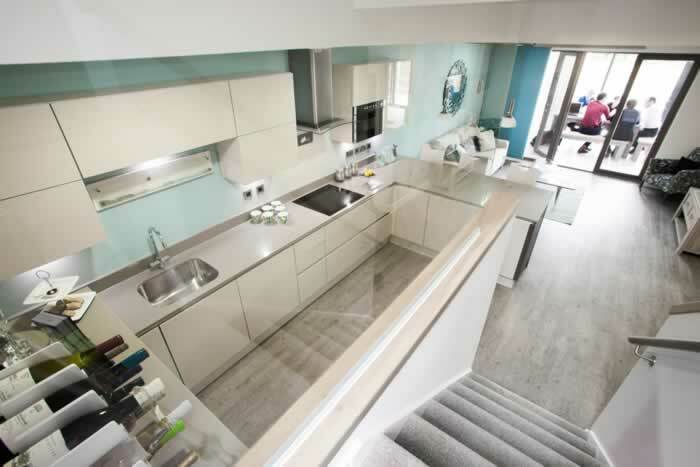 We can offer a range of different materials including the popular 'Acrylic' kitchens (seen in the pictures below) which come in an array of different colours, or the more traditional 'In-Frame' cottage style kitchens which benefit from our knowledge of the hardwood furniture industry. Both of which are as equally beautiful but again having the beauty of being completely unique and tailored to your needs. Once we’ve agreed a bespoke kitchen design, it will then be built within our Lincolnshire factory using the highest quality materials and most modern machinery. 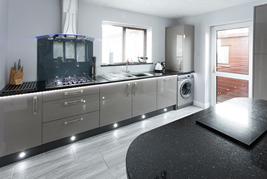 We have also managed to create invaluable relationships within the domestic appliance & worktop industries, offering you the most beautiful range of kitchen appliances as well as a choice of granite/marble & quartz worktops of the highest standard. 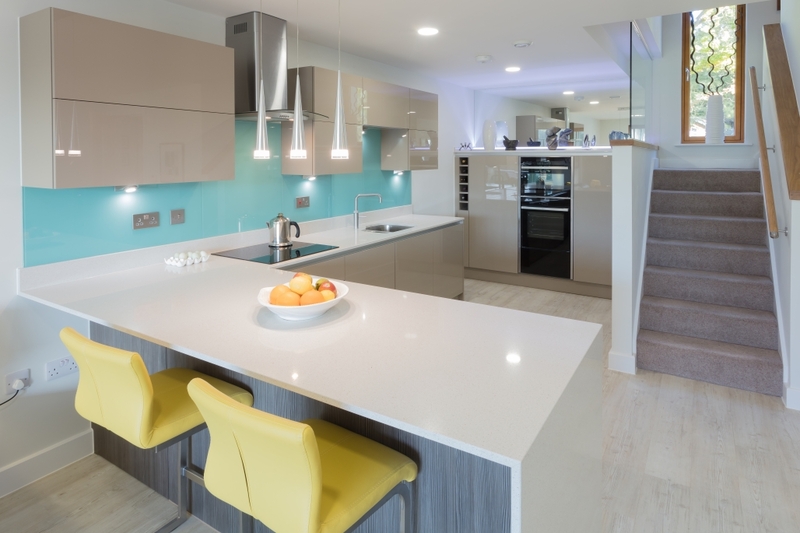 A personal consultation, a tailored design & a bespoke kitchen that is built around your needs - What more could you ask for? We are now using the "Space Plug"
We pride ourselves in making sure we do the best job for our customers. Working in partnership with our dedicated tradespeople to overcome any and all obstacles thrown at us - even when confronted with a stubborn tiled floor! Chris Sharp cabinets are never afraid to utilise the latest technology and machinery to get the job completed fast, but never scrimping on quality. You can see in the video how we were able to remove the tiles in just seconds! A job that would usually take hours. 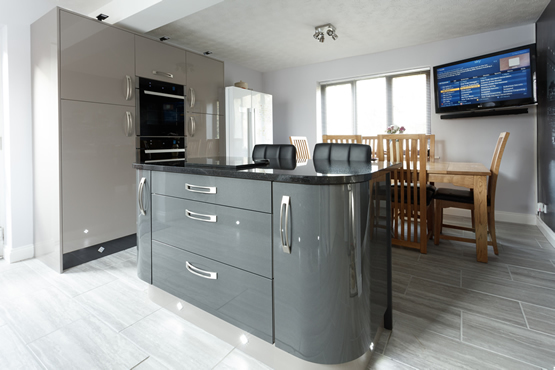 We are now providing a range of bespoke kitchens, tailored to match your requirements, free from the limitations of the 'High Street' packages. Chris Sharp Cabinets Ltd’ is an introducer appointed representative of Ideal Sales Solutions Ltd T/A Ideal4Finance. Ideal Sales Solutions is a credit broker and not a lender FRN 703401 Finance available subject to status. Loans of 25000 and above available on a secured basis. Think carefully before securing other debts against your home. Your home may be repossessed if you do not keep up repayments on a mortgage or any other debt secured on it.